While the incidence of sexual dysfunction after treatment for gynecologic malignancies is well documented, few studies describe how patients want healthcare providers to address these concerns. The objective of this study was to evaluate changes in sexual function and describe patient preferences regarding healthcare provider roles in addressing and treating sexual dysfunction in gynecologic cancer survivors. 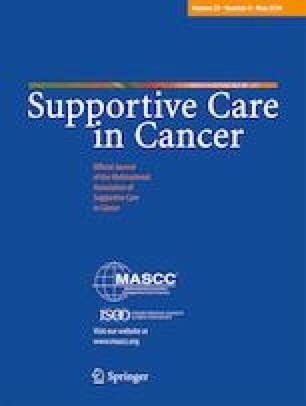 Patients undergoing gynecologic cancer treatment from 2013 to 2014 at a single University-based Gynecologic Cancer clinic were surveyed using a modified Changes in Sexual Function Questionnaire (CSFQ), along with questions relating to healthcare provider interactions and preferences. Among 277 eligible patients approached to participate, 85 (30.7%) completed the survey. The mean age was 52.2 ± 12.3 years; most were non-Hispanic White (78.8%), partnered (73.2%), had endometrial or ovarian cancer (30.6% and 44.7%, respectively), and were in surveillance (57.3%). Most women (64.7%) reported much or great sexual enjoyment 1 year prior to cancer treatment which decreased to 27.4% currently; 33.3% report only rare sexual activity. There were no statistically significant differences in mean total CSFQ scores by treatment modality. A minority wanted healthcare providers to initiate sexual health discussions (25.3%); the remaining reported not wanting sexual health addressed or preferred raising the issue themselves. The most commonly cited barrier to communication was the feeling that there are more important issues to discuss with their oncology providers (46.2%). While gynecologic cancer patients report changes in sexual function following cancer therapy, many believe there are other issues more paramount to be addressed. Further studies are warranted to develop better strategies for addressing sexual health in women receiving treatment for gynecologic cancers. This research was supported by NIH grant P30 CA77598 utilizing the Biostatistics Core shared resource of the Masonic Cancer Center, University of Minnesota.